I love afternoon tea, it’s one of my favourite foodie treats. I absolutely adore spending a couple of hours with a good friend, treating ourselves to a pretty selection of goodies. It’s possibly one of the most British traditions, but actually only dates back to the 19th century. The tradition was introduced in 1840 by Anna, 7th Duchess of Bedford. Dinner was served at 8pm in her household at Woburn Abbey, and that meant a long wait from lunchtime until the evening meal. To stave off her hunger pangs, the Duchess began asking for a tray of tea, bread and butter and cake to be brought to her rooms in the late afternoon. This habit became more sociable as she began inviting friends to join her in taking tea. And by the 1880s, society women would take afternoon tea in their drawing rooms at around 4pm. You could win Afternoon Tea for Two, thanks to Red Letter Days. Keep reading to find out how to enter my giveaway for a chance to win this fantastic prize! Nowadays, most people enjoy afternoon tea as an occasional treat, rather than a daily occurrence. You might decide to take tea at a smart city hotel, a country house or even a golf course. Some venues will put their own spin on afternoon tea, but the traditional meal follows the same basic format across the country. You’ll start with a plate of dainty sandwiches with delicious fillings like smoked salmon and cream cheese, or the traditional thinly sliced cucumber. They may be cut into finger sandwiches or little triangles. But whatever the shape, the crusts must definitely be cut off! Next you’ll have a plate of scones, which is my favourite part of afternoon tea. The scones might be plain or fruited, and hopefully they’ll be served with plenty of jam and cream. Should you spread jam first, or cream? That’s up for debate, but they’re delicious either way. Finally you’ll have a plate of delicate cakes and fancies. These are an opportunity for the pastry chef to really show off their skills! And of course, there’ll be drinks served alongside. Hopefully you’ll have leaf tea served in a delicate china tea cup, but you may also be offered coffee, or possibly a glass of champagne for a very special afternoon tea. Red Letter Days offer an Afternoon Tea for Two voucher as one of their wide range of gift experiences. It’s an ideal way to treat someone to an afternoon of relaxation and indulgence. But if afternoon tea isn’t their preference, then Red Letter days have masses of other experiences to choose from. Their range includes everything from track days and sky-diving to spa days and short breaks. There’s something to suit every taste! 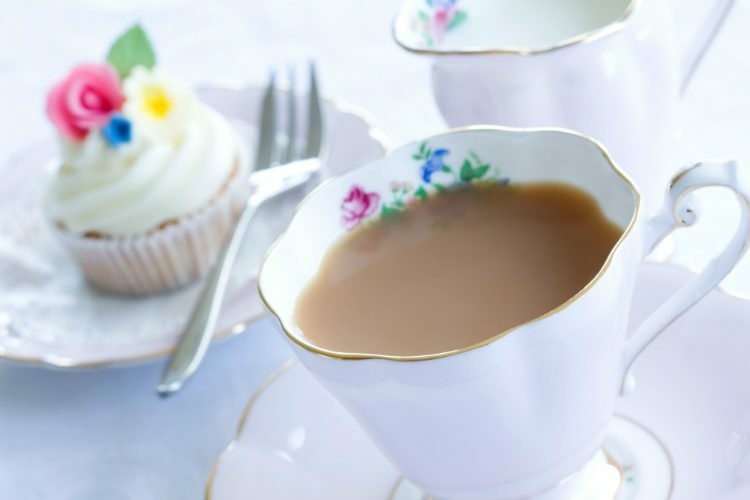 One lucky SallyAkins.com reader will win Afternoon Tea for Two, thanks to Red Letter Days! Red Letter Days have kindly offered to send one SallyAkins.com reader a voucher for Afternoon Tea for Two, worth £60. You can enjoy a luxury afternoon tea at one of over 60 hand-picked UK venues. Each of these chic and inviting establishments boasts a great location, excellent service and a perfectly luxurious setting in which to unwind and observe this fabulous tradition. The lucky winner and a guest will tuck into an indulgent spread of special sweet treats, delicious cakes, pastries and delicate finger sandwiches, accompanied by tea and coffee. The exact menu varies depending on location, and some venues even include a glass of bubbly each! It’s a splendid way to spend an afternoon! For your chance to win this fabulous gift, simply log into the Rafflecopter below and answer the easy question. There are also some bonus social media entries that you can use to boost your chances of winning. The giveaway will close at 11.59PM on Friday 1st March, 2019 and is open to UK entrants aged 18+ only. All locations serve tea daily, with most excluding Christmas Day, New Year’s Day and Valentine’s Day. For the locations which include alcohol, the minimum age is 18. Some venues accommodate younger guests if they are accompanied by a participating adult (aged 18 or over) so please check at the point of booking. Please note that additional drinks and service are not included. Who would you like to share afternoon tea with? I would like to take my mother along with me . I would love to share my Afternoon tea experience with my partner, In the whole 8 years we have been together we have never went out for Afternoon tea, this would be a real treat. I would share it with my partner Andy to spend some quality time together. I would share it with my dear old mother. I would take my eldest daughter as I don’t spend nearly enough time alone with her. I’d share afternoon tea with my sister who’s at uni so we don’t spend nearly as much time together as we used to. I would take my daughter with me to tea. My partner as we have not been for afternoon tea together before. I would love to have afternoon tea with Peter Kay. It would be hilarious! Without a doubt, my partner Steve. I’d like to share afternoon tea with Sir Ian McKellen. Actually, afternoon tea isn’t my scene, so I’d like to treat my mum, so that she can enjoy tea with a friend. I would share the afternoon tea with my mum! My daughter, we both like cakes and scones and a nice cup of tea. I would share with my mum – we love trying afternoon tea in various places across the region! I would like to take my mum, for a birthday treat! I’d love to catch up with my mum over afternoon tea when she comes to visit. With my mum. She would enjoy it. I would take my Grandmother, she would love this! My good ol mum as she really enjoys an afternoon tea and it’s a good chance for her to get out and about and enjoy herself with me. Have to be my gorgeous girl! I’d love to take my mum for an afternoon tea! I would definitely share with my husband. With my mum, she’d really enjoy it! I would share with my partner! My mum, she loves an afternoon tea! My lovely partner – it’s our 6 year anniversary soon! I would like to share afternoon tea with my husband. My Mum, would love to take her out for afternoon tea! My boyfriend P! We’ve been for one before and dressed up for the occasion, it was really good fun! I’d share with my daughter who is desperate to experience her first afternoon tea! I’d love to take my best friend Sabiha with me. We love going for afternoon tea, such a great way to spend some time catching up with friends. My mum. She has helped me so much this year, I’d love to treat her. I’d love to share an afternoon tea with my friend Annette – we don’t get to spend time together very often so this would be amazing. My mum, as she means so much to me! I would definitely take my boyfriend! And honestly, if any venues were dog friendly I’d take my pup too! I would share with my lovely husband, Chris! MY DAUGHTER AS SHE IS WORKING SO HARD AND COULD DO WITH A RELAXING TREAT. I’d take my mum as she took me for my first (and only!) afternoon tea for my 18th birthday! I would share it with my mum because she really deserves a nice treat. id take my mum as she does so much for me, even looking after my children when i work! Myself and my wife Mel would enjoy this. My lovely daughter who is only 7 but she would love a treat as special as this. I would love to share with my husband and family, it would be a special occasion for us to get together and enjoy a lovely treat. I would take hubby – slowly converting him to how nice afternoon tea can be! I’d share it with my mum – it would be a lovely well-deserved treat for her. I would love to share afternoon tea with my mum, she would love this. I’d like to share afternoon tea with my mum. I would love to go with my husband – we can forget our diets for one afternoon! I’d take my sister, would be nice to have a proper catch up! My sister, she would love it. my other half, it would be lovely to have a treat just the two of us to something we wouldnt usually do! I’d share it with my sister because she needs a break. My daughter when she’s home from Uni. My sister. We love dressing up in our finery and taking afternoon tea. I would like to take my mother as a thank you treat. I would love to have some mum and daughter d=times, afternoon tea would be perfect. I would take my Mum to treat her for all the things she does for me. I’d love to take my Mum, she deserves a treat. I would love to share afternoon tea with my husband! I’d take my boyfriend to afternoon tea as it’s something we’ve never done. There’s something very civilised about afternoon tea! I’d love to surprise Brian Robinson (my husband) with this great giveaway – thanks! My mum – she’s a proper tea and cake addict! I’d share with my 95 year old mother-in-law as it’s her favourite outing. My lovely hubby! We love a proper afternoon tea. Ideally, one of the royals! But I guess I’ll have to settle for my husband! I would like to share it with my sister who has been making a 4hr round trip everyday to visit me in hospital. I would take my hubby as it’s his birthday soon. My friend Sharon – it’s one of our favourite things to do and she’s having to work more hours now so we don’t get to spend as much time together. This would be a lovely treat! I’d take my best friend, Keely as we hardly get to see each other at the moment due to our busy jobs and lifestyles! I would like to treat my best friend to afternoon tea. My Girlfriend, catch up on all the goss ! My husband. I have had afternoon tea a few times with my daughter and I think he gets a bit jealous! I should say my husband…but in reality I would take my wonderful friend who deserves a treat…plus we like to pretend that we are ladies what lunch! I’d like to share it with Idris Elba but as I’m single & he will probably be busy for the next decade I’d best take my Mum! I’d love to treat my Gran to this, it’ll be her 91st birthday in April and she really deserves a treat! I would share an Afternoon Tea with my Mother now in her late 80’s. She lives far away from me so I always make a special day of Mothers Day and visit her so this would be an added treat! I would take my mum, I know she’s partial to an afternoon tea! I would love to take my best friend to cheer her up. I would take my other half. I would love to share afternoon tea with my fiance. We’ve never had afternoon tea together! I would love to share this with my husband, I think we deserve a nice treat! I do love an afternoon tea treat with my friend Amanda. I would love to take my other half as he is awesome! I would love to share with my husband. I would love to go to tea with my mam, she’d really enjoy it. I’d share with my sister in law. She is a fantastic person and great company. We both would love an afternoon tea more than anyone else we know. And it would be great for just the two of us to get together, it’s one of those things that doesn’t happen often as busy lives interfere. I would love to treat my mum to this, she deserves it by being the most lovely and kind person in the world! I’d go for afternoon tea with my bestie as she’s turning 40 soon and I’m looking forward to helping her celebrate! I would take my best friend to celebrate her 30th birthday and her having her 1st baby. Would be a lovely. If my Mum couldn’t make a trip out, then I’d take my blind friend. He loves his many cups of tea and cakes! I’d love to take my Mum, she really deserves a break! I would take my amazing husband to celebrate our 7th anniversary together. I’d share it with my husband. He’s never had a proper afternoon tea before, so I’d love to treat him. i would take my bestie as she is my rock and i love her to bits. I’d take my best friend so we can have a proper girly catch up! I’d treat my lovely sister to afternoon tea. I’d take my lovely daughter. My mum because I don’t see enough of her………. This would be lovely, I’d take my husband and we could have a well needed date night. I do love an afternoon tea. I would take my mum for sure! My lovely daughter whose at university we both love afternoon tea! My partner, as he has helped with my recent car trouble. I would treat my neighbour for mowing my lawn and putting my bins out. These little things mean a lot. I would love to surprize my amazing mum with this prize, what a treat! I’d love to share afternoon tea with my husband! I’d take my husband, he loves cake! I’m quite fond of it myself to be honest! I would take my Husband along me to the Afternoon tea. I would love to share afternoon tea with my mum :) it’s such a great opportunity to catch up and treat ourselves! I would treat my wife. Wow yes please. Would Love to take My Auntie for a treat for beening there and listening and supporting Me. Me and my mum love going for afternoon tea. I would love to win this and treat her! My husband we could both do with a treat. My husband – it would be lovely to have some time on our own just chatting and enjoying a delicious afternoon tea. I would love to share afternoon tea with my Aunty Jean, she has been like a mother to me and really enjoys the finer things in life. I love her to bits! With my friend of 51 years, who now lives in the USA but is still a Brit at heart so would love a proper Cream Tea. I would treat the family! They all enjoyed the last one! My mum as would be a great treat for my birthday and mothers day as it falls on the same day this year. I would love to share afternoon tea with my husband, John. My husband – would be lovely to spend some quality time together. My best friend – it would be lovely to have a long, leisurely chat whilst being treated to afternoon tea. My lovely friend, Jayne. We always have so much to talk about when we meet up every month or so, why not do it over an afternoon tea, this would be amazing. My amazing husband, he deserves a fabulous treat. I would love to share an afternoon tea with my mum. We lost my dad is September 2017 and today is there 33rd wedding anniversary, her 2nd anniversary without him. We lost him to an awful disease called Peritoneal Mesothelioma – my son was born 5 days before my dad passed away and I would just love to take my mum for an afternoon out where we could sit and reminisce about dad, someone we lost way too soon! I would treat my mum to afternoon tea with this. I’d take my significant other – she’d really enjoy it. My lovely mum as it’s her special 70th birthday in 6 weeks time! I would love to share afternoon tea with my daughter . I would love to share an afternoon tea with my eldest Daughter. My mum for mothers’ day. I’d take my lovely Mum – she’d love this! My husband – this prize is him to a “tea”! One of my daughters as it is great to have time to chat with no children to distract us! I’d like to share it with my mum as we would both feel proper posh going out and having afternoon tead. Would take my OH, we love a good afternoon tea! I’d take my mum. We don’t get much time together on our own anymore so it’d be lovely to have some mother daughter time! I’d share it with my luvvly hubby, he needs a treat!! I would treat my mum. I would love to treat my gorgeous friend, she deserves to be spoilt. My Mum has always wanted to do this, so it would be amazing to treat her. Thanks for the chance. I’d like to share it with my Mum, we love afternoon tea! I would take my best friend. Due to busy and conflicting work schedules we find it hard to find time to meet up so it’d be nice to spend time with her having afternoon tea, and afternoon tea is something I’ve always wanted to go out for. I would be very happy to share with my husband Alex. I would either take my partner or my Mum. Thanks for the competition. I would love to share an afternoon tea with my mum. It would be a real treat! I would have afternoon tea with my mum as she is turning 70 next month! My mum! We love to go out for afternoon tea! I have several friends who are helping me through a health problem so I would be spoilt for choice who to take. I’d share with my mum for mothers day and our birthdays, which are both in March. I would share this lovely afternoon tea with my wonderful mam. Thank you! Would love to share with my sister, this would be a lovely treat for us both. I would love to spend some quality time with my eldest daughter. I’d share with hubs, being parents we obviously have very little chance to do anything grown up! I’d love to share it with my husband or my sister. They’d both love it, I’m sure! I would love to treat my best friend. My husband as he works so hard for us and others. I’d love to share this with my daughter as we don’t get to spend enough quality time together. I would take my fiancé, Iain. I’d love to share with my lovely sister. Fab birthday treat for me too! I’d love to share this with my husband and have some quality time together. I would love to share this with my boyfriend! I would share it with my other half. I would take my sister. It was her birthday a few days but I’m away for a few weeks so I would take her when I get back. I’d love to treat my partner to afternoon tea. I’d love to have a fancy girls day out with my young daughter and treat her to an Afternoon Tea. I would take my Mom along. We could both benefit from a relaxing afternoon of tea and cake!